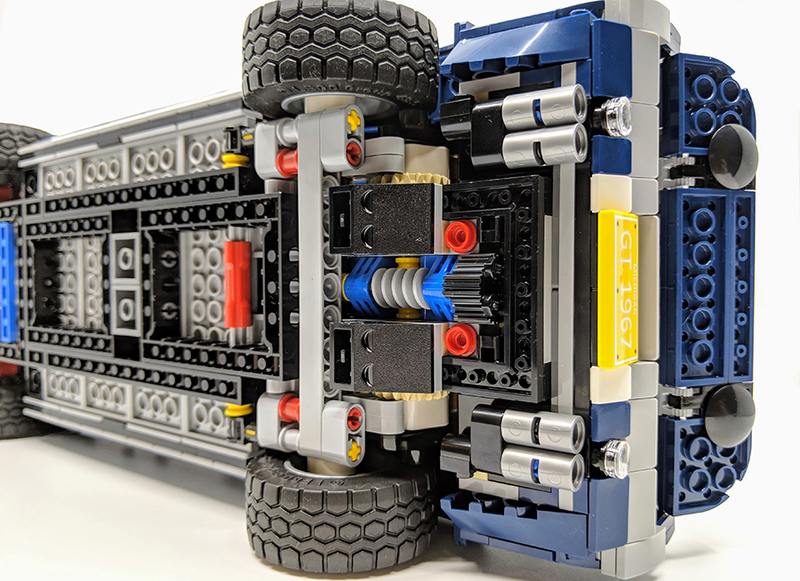 Over the past few years LEGO® have partnered with a number of automotive brands to release various LEGO Creator Expert sets. 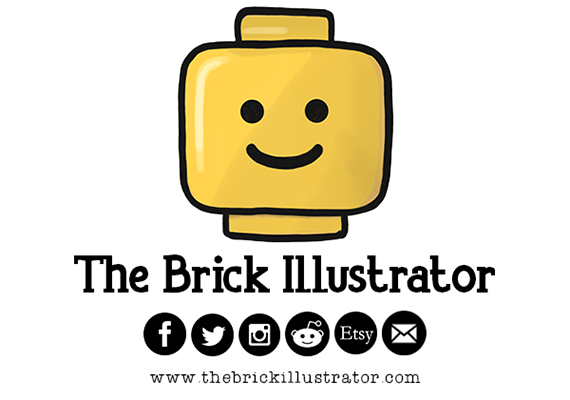 These have transformed iconic vehicles into brick-built recreations. 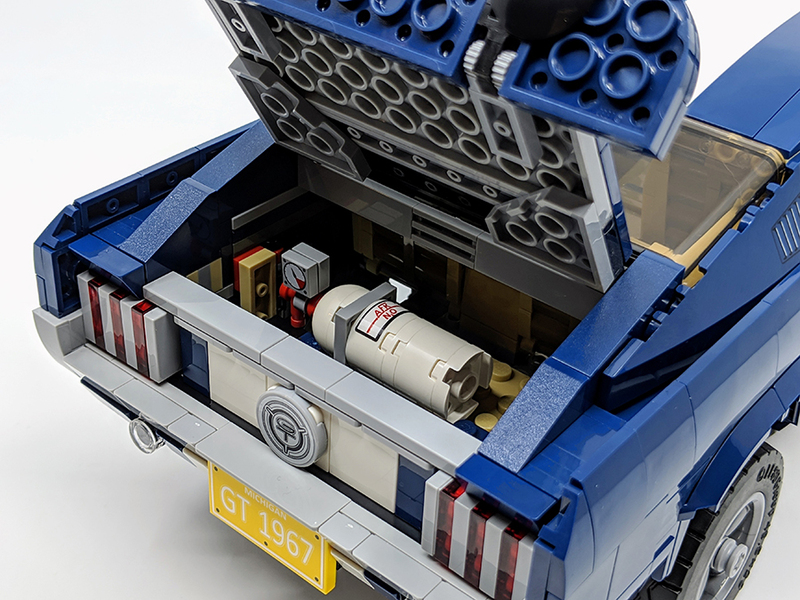 This year’s set is true icon of the American motor industry, making its debut in the 1960s, the Ford Mustang has become one of the most iconic muscle cars ever created. In popular culture, the Mustang has appeared in numerous James Bond films, but it’s most memorable screen appearance was in the 1968 Steve McQueen movie Bullitt. It’s look may have evolved across the years, but the Mustang has remained an emblematic part of the Ford Motor Company’s long history. 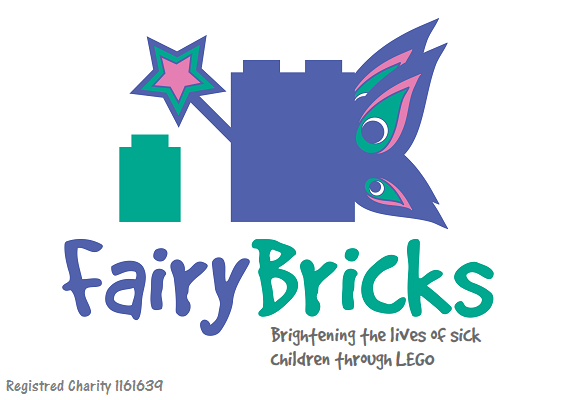 Making it the perfect vehicle to be immortalised in LEGO bricks. 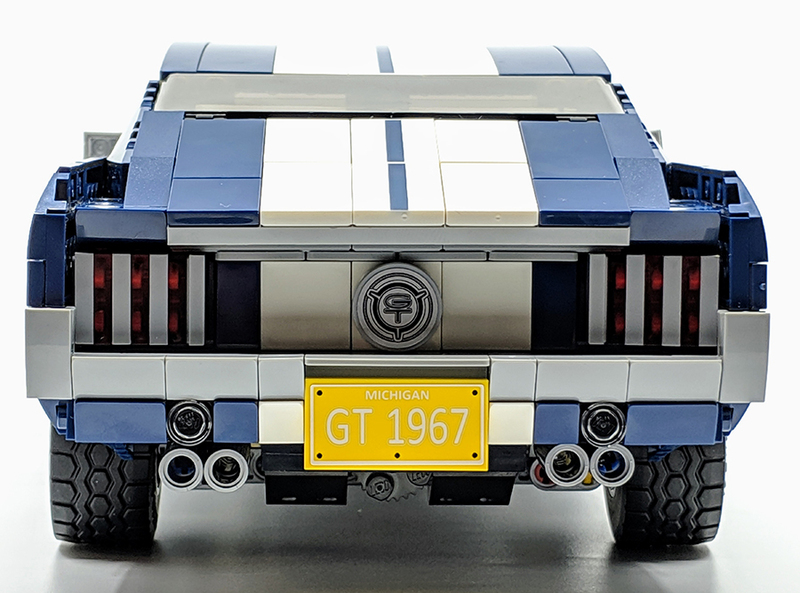 So get that motor running, head off on the highway and take a closer look at the LEGO Creator Expert Ford Mustang. 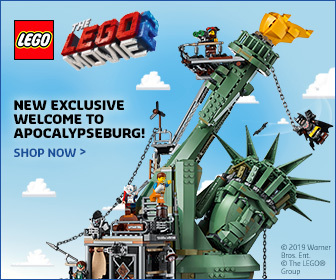 Most LEGO sets begin with that all important instruction booklet and this set is no different. But beyond just telling you how to build the set, it also features a number of pages dedicated to history of car. As you build you’ll also be treated to factoids about the Mustang, dotted on various pages. 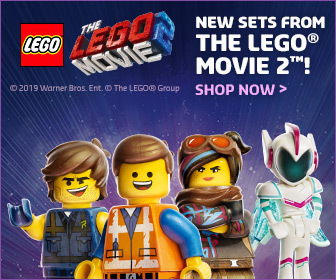 Combined these add to the overall experience of set and I’m glad to see LEGO expand the use of the instructions, like they do for Ideas and some of the larger sets. 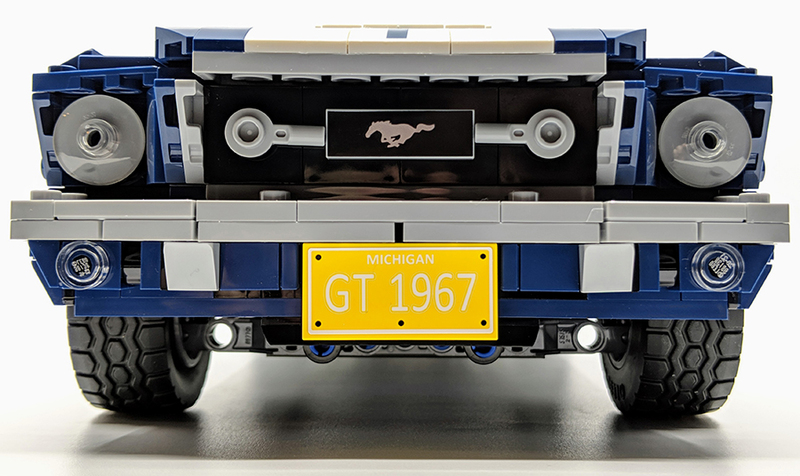 The Mustang is also one of the many 2019 sets to be included on the Instructions Plus platform. 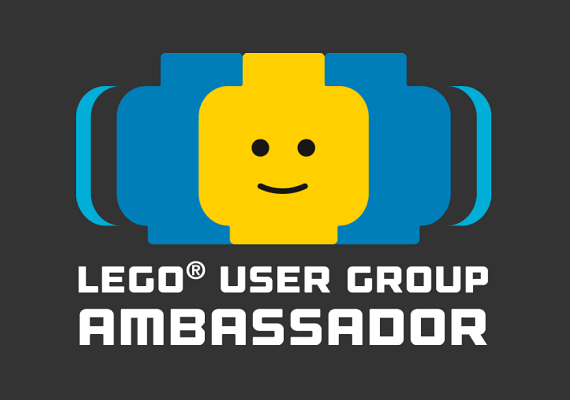 So you can scan the QR on the front of the booklet using the LEGO Life app to access digital instructions. Much of the Mustang’s undercarriage is made up of Technic elements, but as a nice surprise these are largely what would be considered ‘old school’ pieces. So you get a few frame elements and a nice big retro gear to help steer the front wheels. These motion-enabling sections of the build aren’t too complex, which makes them all the more impressive. Especially the rear section which allows the Mustang’s suspension to be adjusted with the twist of a hidden wheel. I really like how these innards have been expertly hidden by a couple of banner elements inside the rear wheel arches. A lot of effort has been made to make the interior of the car almost as impressive as the exterior. This is especially the case with the engine. One of the key features of the Mustang is its power, which comes from the V8 engine. This is a highly detailed section of the build. It also uses some odd elements to help achieve it appearance. The most odd of which is a rubbery piece that is best described as an elongated H. This strange piece really helps to give the area under the hood an impressive visual finish. I’ve never come across this piece before The engine is one of a number of sections of the Mustang which can be customised. Inside the Mustang are a few nice details, a simple dashboard, complete with radio, a working steering wheel and even flip up seats to access the backseat. But my favourite part of the interior is the doors. 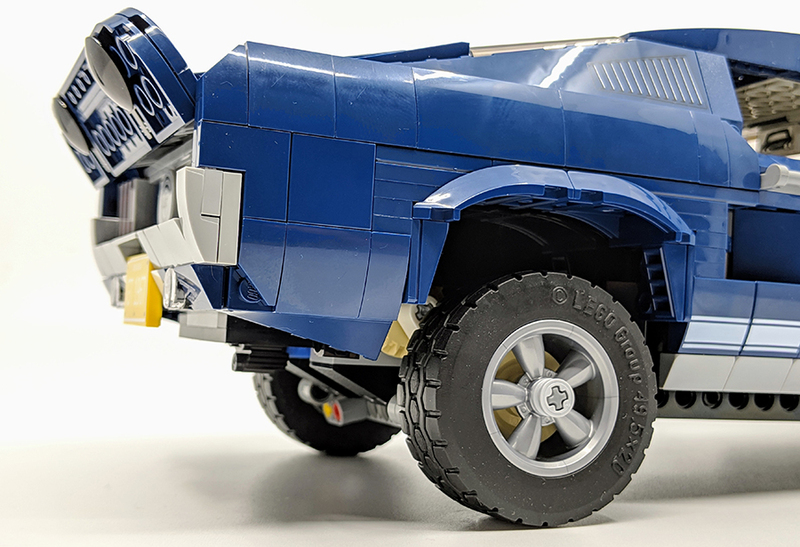 In various other LEGO vehicles, these are often simply clipped on, which makes them a little shaky. Here the trio of hinge plates are used to give them a lot more stability and work in very much the same way as the real doors would. It also makes the sit nicely with the rest of the cars shell, helping to maintain the Mustang’s curves. 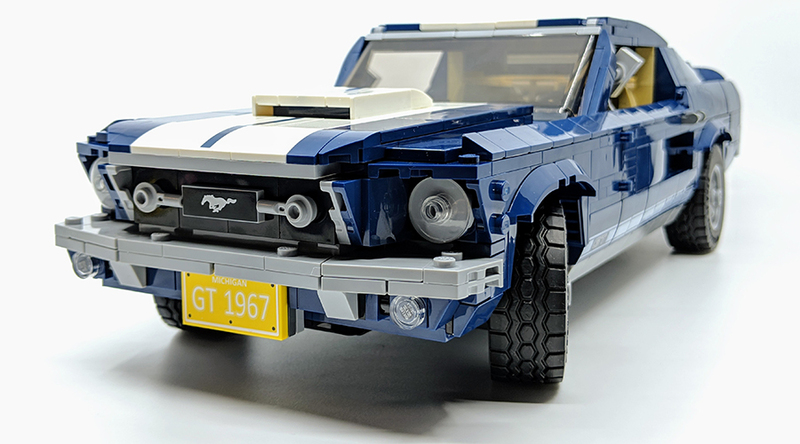 As mentioned the Mustang’s appearance can be tweaked by adding additional sections. 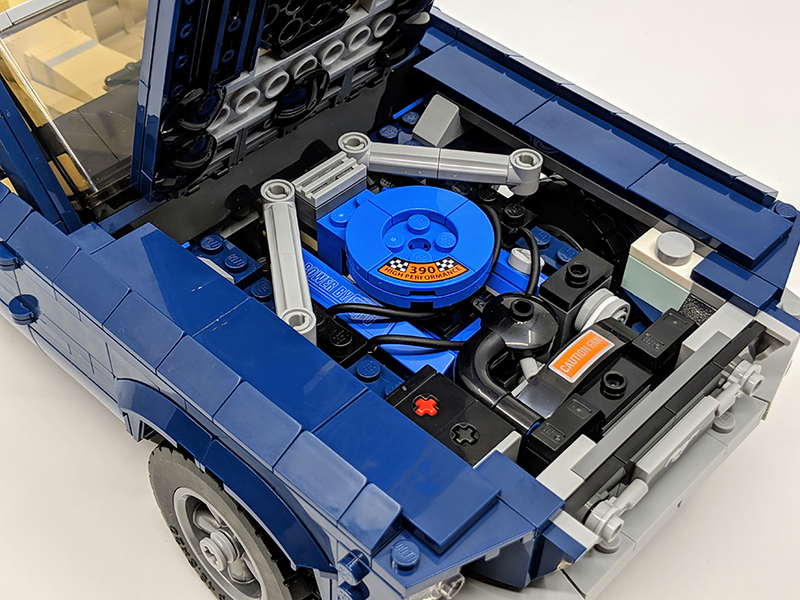 Under the hood the blue disc can be popped off, which allows you to connect large supercharger. So large you need to remove a section of the hood. A beefier chin spoiler can be connected to the front of the car. Flip open the boot to install a nitro tank and extended rear spoiler. Remove the rear exhaust in in favour of a series of exhaust pipes along the side of the Mustang. It’s amazing how much more beastly the set looks with these added and the suspension raised. I think I prefer the cars stripped back look, although the chin and rear spoilers are pretty cool. 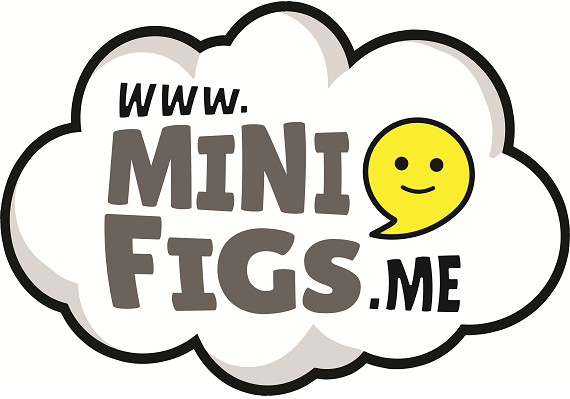 Every aspect of the build is finely tuned, nothing feels forced or out of place. The use of elements and how they are combined give an amazing visual finish. 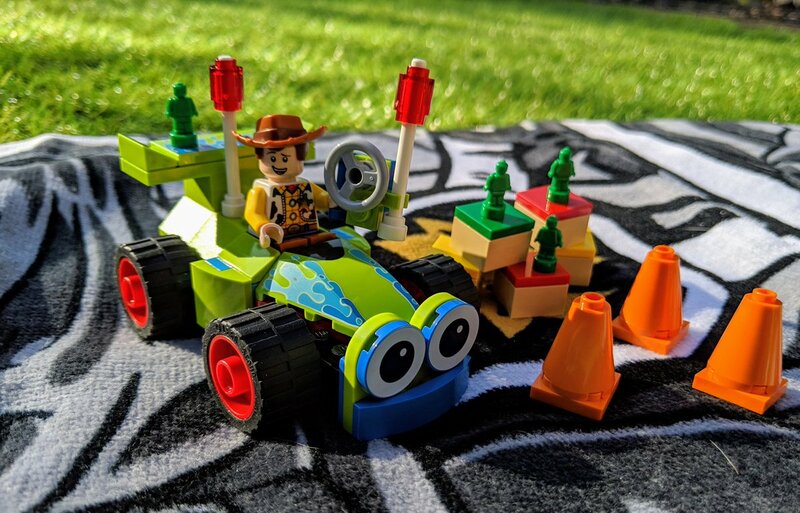 One of the tricky things with creating such a well known vehicle from LEGO elements is managing to capture those quintessential visual cues which make the so iconic in the first place. 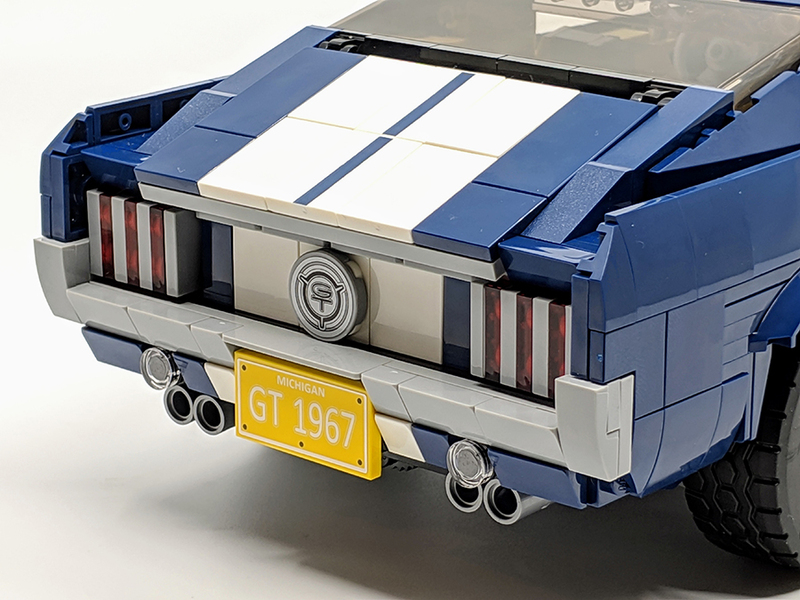 LEGO bricks seem to be the perfect medium to capture the Mustang’s curved body and squared front. 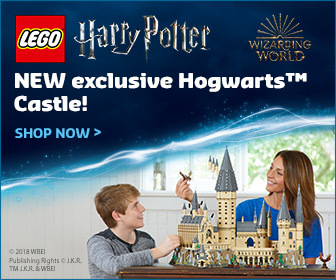 The build mostly uses existing elements and to great effect, but there are two new pieces created for this set. 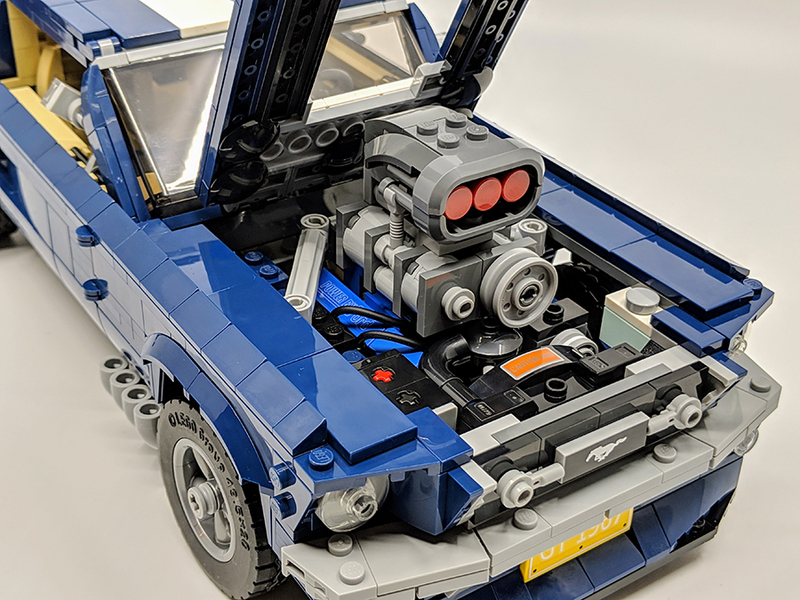 A 2×8 box brick, which helps to create the cars streamlined look. There is also a new 5-spoke wheel rim. 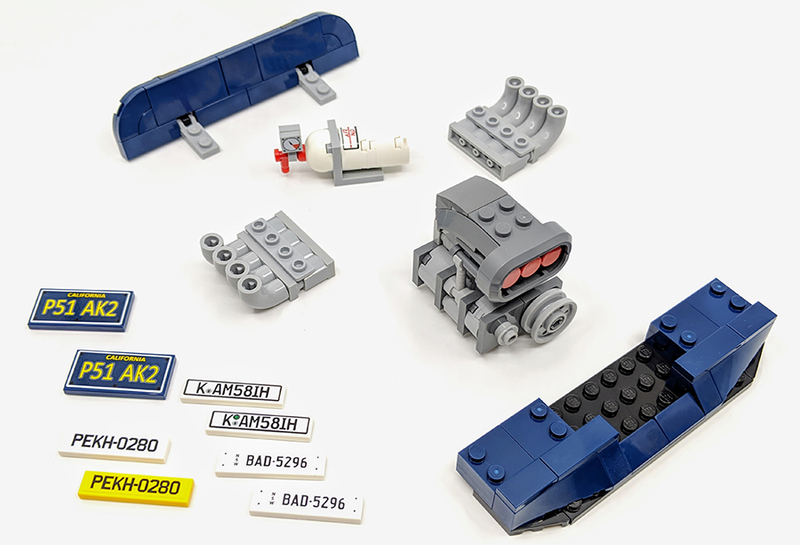 These not only look great, they allow for better integration with the steering function. 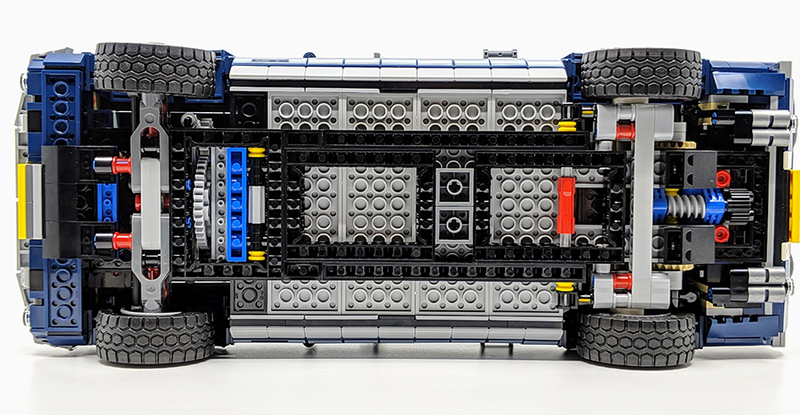 Somthing LEGO have been doing more lately with vehicle builds such as the Bugatti. The set contains a mixture of printed and stickered elements. The racing strip which runs along the center of the car, from the hood, across the roof and on the boot. These are achieved with a number of printed flat tiles. 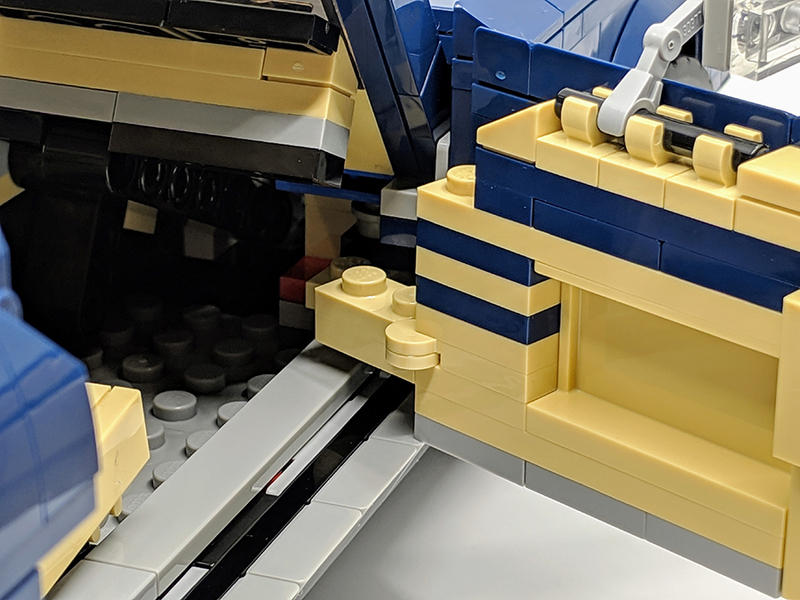 Along with base of the cars body, you’ll find a series of printed curved tiles, as they are dark blue with white print detail, they look a little washed out compared to the other sections of the car. Sticker detail is used on the various plates, it’s always a shame when simple elements like flat tiles are given detail in place of print detail. Still it’s nice to be able to change the plates to reflect different locations. Having built all of the last few years Creator Expert Vehicles, I think this is my favourite. 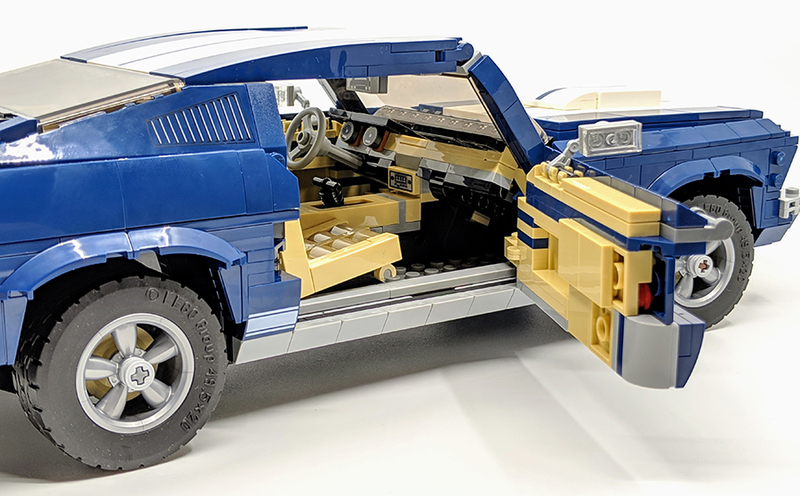 It may not have the fun gadgety features of the Aston Martin or the cute story connected elements of the London Bus, but the finished build looks amazing. The lines of the Mustang have been captured amazingly well, something many complained about regarding the Aston Martin. 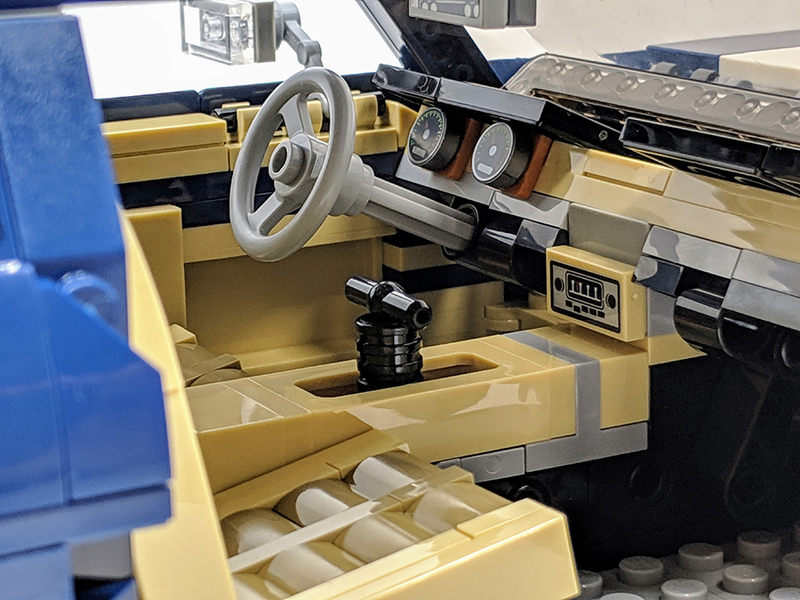 Each element of the real world car is present in the brick-built version. The sleek drop curve of the roof and back windscreen. The fierce front grill and the unique tail fin, complete with lined lights. It was also an intriguing build, with a number of interesting techniques which use simple parts to create great features. In particular the door hinges and the rear wheel suspension. I love all the additional pieces, which you can add to the Mustang to transform it into a more ‘powerful’ version, but the car look great without them. It’s also nice to have different plates, although it would of been great if they were printed. Especially since those not on the car, could easily become damaged. Of all the Creator Expert vehicles I’ve built, this is by far my favourite it terms of the finish product and how it matches its real life inspiration. It may not have the play features of other sets, but it’s an impressive display piece and far more exciting than having a tiny diecast version. 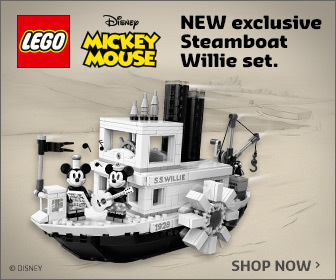 If this is the standard of LEGO Creator Expert vehicles I can’t wait to see what future set will offer. 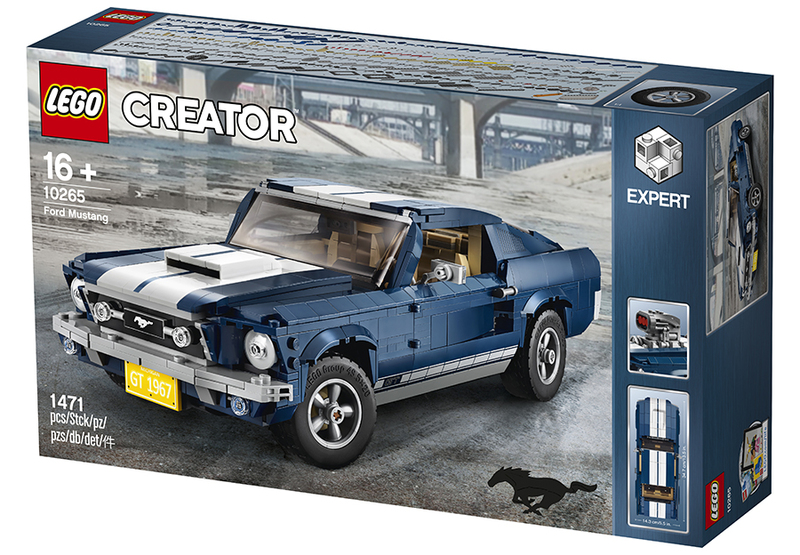 The LEGO Creator Expert Ford Mustang will be available from LEGO stores and shop.LEGO.com from March 1st.